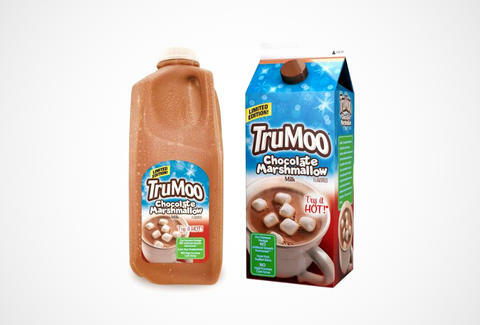 Just in case mini marshmallows pull a Sriracha and go missing for a few weeks, the milk mavericks at TruMoo have preemptively launched new chocolate marshmallow-flavored milk. Available only through the month of February, the dairy hybrid can be sipped cold through your finest crazy straw or heated up for some knock-off hot chocolate action. It's already on the shelves at Target and plenty of grocery stores, so go snag a carton before those meddling kids buy it all out.